Here at Lucrative Software we pride ourselves on building quality mobile applications. Our current applications are Thirty One, Annoying Fruit, Dial n Walk, A Vet Tool, Calculator XL, Flip / Bubble Text, Light Therapy, Hand Buzzer, Booklight Pro, and AWazDat. Details are below. Thirty One is a strategy based card game where you try to get your hand of three cards closest to thirty one (only cards in the same suit are added together). 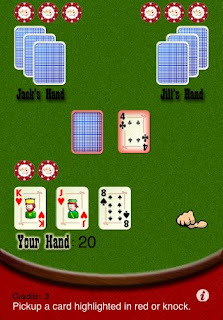 You play against two computer controlled opponents named Jack and Jill. You will have hours of fun trying to out smart them by holding cards you know they want, knocking when you think you have the best hand, and getting a blitz (a hand of exactly 31)! 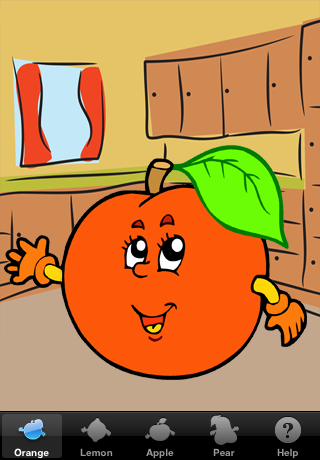 Talk to these annoying fruit and they repeat what you say with funny voices! Poke them, tickle them, and shake them to see what crazy reactions they have! 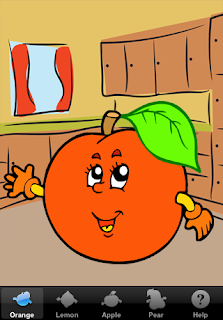 Notes: Free version only contains the orange, upgrade to get lemon, apple, and pear! Use of this app on an iPod Touch requires headphones with a microphone. Have you ever tried calling someone while walking with your phone only to run into something because you can't see where you are going? With Dial n Walk you will never have that problem again! Dial n Walk is a great new application that takes advantage of the iPhone's camera to allow you to "see through" your iPhone as you are dialing a number. This is accomplished by displaying the phone controls on top of live video from your iPhone. You can access and search your contacts, dial a number on the keypad, and save your most used contacts as favorites. Also, when you call a contact or dial a number it is automatically saved as a recent call. All features are accessible through an easy to use tab based interface. Download Dial n Walk today and never worry about trying to call someone while walking again! A Vet Tool is the perfect app for veterinarians, vet technicians, vet students, anyone working in the veterinarian field, or just interested in more information about the drugs and tests used at a vet clinic. By downloading A Vet Tool you are getting five fully featured applications. The five applications are accessible through an easy to use tab based interface. - The first application is a complete small animal drug formulary with over 650 drugs. The drugs can be accessed quickly with an alphabetical index or by using the search function. 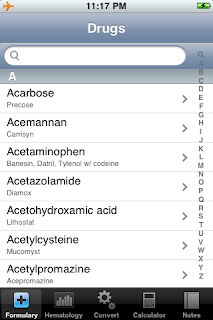 Each drug lists the indications and appropriate drug dosages in a format perfectly suited for the iPhone and iPod touch. When compared to the price of a printed formulary this function alone makes A Vet Tool a great value! - The second application contains common blood value lab results for birds, cats, dogs, guinea pigs, and turtles. - The third application performs conversions that a veterinary professional must do on a daily basis such as converting from pounds to kilograms. It includes both weight units (Kg, gram, mg, μg, ounce, lb) and liquid units (Liter, dL, mL, ounce, tsp, tbsp, cc). 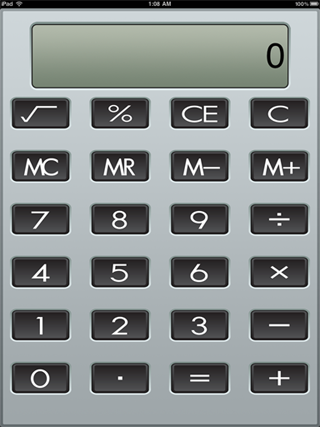 - The fourth application is a fully featured calculator with memory function. The calculator's memory is saved even when the app is exited. - The fifth application is a great notepad. The notepad allows you to categorize your notes with an icon that can be easily identified on the main note listing. The note titles can be searched to provide quick access. Notes can be added, deleted, and edited at any time. A Vet Tool was created with the assistance of several veterinarian professionals and will provide anyone in the veterinarian field or interested in the veterinarian field a great value for their iPhone and iPod touch. Calculator XL is a great free calculator that takes advantage of the iPad's large screen and support for all orientations. 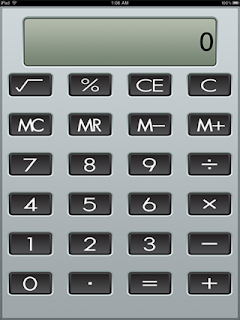 It has all the common calculator functions including memory that is saved on exit. Flip / Bubble Text allows you to create awesome messages almost anywhere right from your iPhone, iPod Touch, or iPad. You can type uʍop ǝpısdn or in ⓑⓤⓑⓑⓛⓔ ⓛⓔⓣⓣⓔⓡⓢ, then easily copy the text to another app or post the text directly to facebook and twitter. The classic Hand Buzzer (also known as Hand Shocker or Joy Buzzer) prank is now available for the iPhone and iPod Touch! 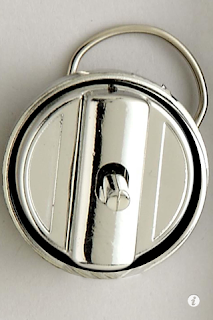 You will have tons of fun playing jokes on others with the real wind up action and buzzer sound effects. Download Hand Buzzer today and have the most fun you have ever had with your iPhone or iPod Touch! The perfect app for book lovers has arrived on the iPhone and iPod Touch! Booklight Pro turns your iPhone or iPod Touch into a book light! 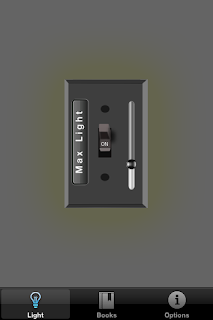 The light includes an on/off switch with sound effects, dimmer switch, and max mode, which provides the maximum light output by turning the entire screen white. Booklight Pro is more than just a book light, it also contains a great notepad application that allows you to keep track of the title of your books, which page you are on, and notes about the book. No more worrying about finding paper bookmarks and folding pages over! My one year old son always looks at my iPod and says "awazdat" (ahh what's that?) . He loves to click on icons, shake the iPod, and listen to the sounds it makes. AWazDat was created just for that purpose. My one year old son always looks at my iPod and says "awazdat" (ahh what's that?). He loves to click on icons, shake the iPod, and listen to the sounds it makes. AWazDat Christmas was created just for that purpose. 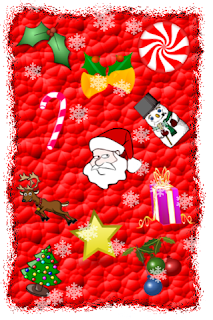 The icons in AWazDat Christmas are fun christmas related pictures. They move as the iPod/iPhone is rotated. When the icons are touched they grow and play fun sounds related to the icon (santa laughs, tree twinkles, etc.) to provide visual and auditory feedback to your little ones. The sounds alternate between speaking the name of the icon and the fun sound. If your little one shakes the iPod/iPhone the background will change color and the color will be spoken. Snow always falls from the top of the screen even as the device is rotated. 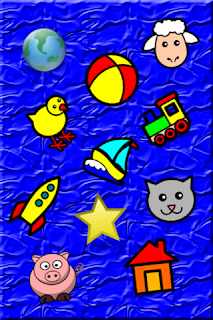 AWazDat Christmas is a great app to keep little ones entertained and help stimulate learning!